I’ve had an extremely busy few weeks! We are preparing the next LUX paper, and it’s been a hectic learning curve for me. Most importantly, I now know to never expect anything to be ready on time! It’s really exciting to know that soon I will actually have my name on a published paper – if amongst 100+ others, but that’s how it goes in experimental particle physics. It will still be a proud moment for me; I might start to feel like I’m actually useful. I managed to squeeze in a couple of trips since my last post, one of which was to a talk entitled “Insights: what makes the perfect song?” at London’s Royal Opera House. 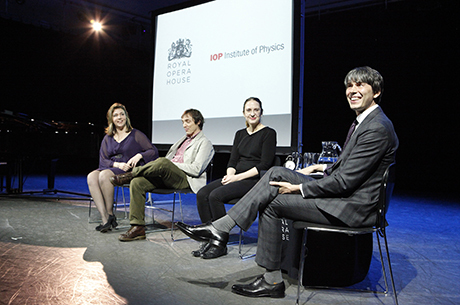 This was an Institute of Physics event, and the speaker was none other than Professor Brian Cox. I can almost guarantee if you are British you will have heard of Brian Cox. He is a particle physicist at the University of Manchester, and a member of ATLAS, one of the general purpose LHC detectors. His floppy hair and Mancunian accent are a familiar sight and sound on the BBC; he is always expressing his love for physics and the universe in documentaries such as “Wonders of the Universe”, “Wonders of the Solar System” and most recently “Human Universe”. I actually first saw Brian on an episode of Horizon (a British science documentary) back in 2008 entitled “What on Earth is wrong with Gravity?”. I was only a few months into AS levels in Physics, Maths, Chemistry and Biology and actually had not yet chosen to go on to do my degree in physics; I was keen at this point to go down either a medical or biochemistry route. The Horizon episode focussed on the uncomfortable discord between quantum mechanics and general relativity, and fascinated me. I was reminded how much I loved physics (my spirit had been somewhat broken by early physics AS-level classes on materials where we learnt about stress, strain and brittle fractures). I believe Horizon and Brian had at least a small influence in my decision to go on and study physics at university. 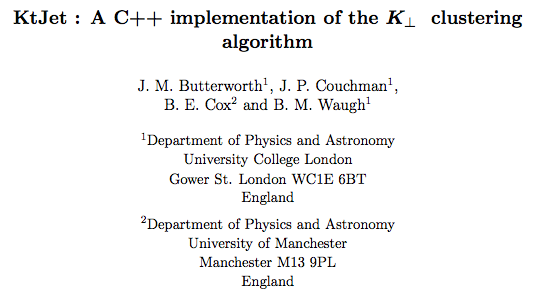 I have found Cox to be like marmite amongst physicists, either loved or hated. Hate is dominant among men (jealous perhaps?) who believe he is not deserving of his professorship status, and is only a face for the media. I managed to convince my Brian Cox-hating boyfriend to attend the Institute of Physics talk with me. He also studied physics but holds no love for it (he is selling his soul to law! ); it was the music aspect that convinced him to come. Although the evening was enjoyable, we were both fairly disappointed in the lack of actual science content. The panel comprised of Christine Rice, an opera singer with a physics degree, Philip Ball, writer of “The Music Instinct”, and Maria Witek, a researcher in neuroscience. L-R: Christine Rice, Philip Ball, Maria Wiltek and Brian Cox at Insights: what makes the perfect song? Despite their commendable qualifications, there were no convincing arguments as to why certain notes sound good together for example, and why our brain reacts the way it does to different things in music. We did see some statistics on the frequency of different musical intervals, saw how syncopated beats make you want to dance more (see Don’t Stop Till You Get Enough – Michael Jackson) and learnt about the Gestalt principles of harmonic progression. We really enjoyed Joe Stilgoe, a jazz pianist’s whose jaunty performances were definitely the highlight. The discussion was thought-provoking but I had been hoping for something on of the waveforms of musical harmonies and melodies, of the modes of vibration on a string, what happens in the brain when we hear a song we love, etc. I believe the night had been more intended for Royal Opera house frequenters, of which we definitely aren’t (call me uncultured but opera singing hurts my ears), rather than physicists. As the woman sitting beside us excitedly told us, “I’m retired, I spend all the time I can learning. I just love opera and I’m here all the time, so I come to anything like this.”, perhaps this event was aimed more at the likes of her, whose attitude to being retired I found admirable (although the first thing she said to us was “I’m only here for him!” meaning Brian Cox…). Sometimes, after spending weeks on end staring at lifeless code, I forget how much I love physics. The enthusiasm of a great science communicator can remind me, and Brian Cox is one of the best. He has done great things for public attitudes towards physics, whether or not he does his fair share as a professor of experimental particle physics! (I have, by the way, heard from an ATLAS member that in fact he has published some excellent papers with respectable people, such as UCL’s very own Jon Butterworth…). 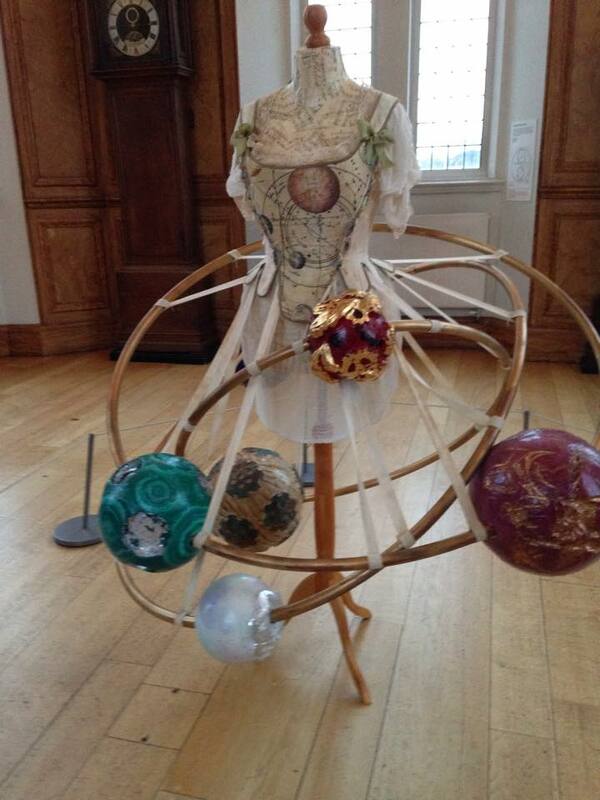 My second excursion was to the Royal Observatory in Greenwich. The main purpose of my visit (again, dragging along my tolerant boyfriend) was to see a show called “The Dark Universe”. Admittedly, we got a bit confused, and spent most of our trip looking at old parts of telescopes and clocks, as well as a bizarre steampunk exhibition, before we found where the actual astronomy stuff was. I would say the observatory is well worth a visit – but be warned, it’s up an incredibly steep hill. It always amazes me what the astronomers of the past managed without computers. The 30-minute show was in the Planetarium, so we were seated reclining under a dome (a set-up my boyfriend decided should be implemented in all cinemas!). Neil deGrasse Tyson narrated – another great science communicator, and I was thoroughly impressed. The visuals were stunning and the physics accurate, but still understandable to non-scientists. LUX didn’t feature in the section on dark matter (AMS – the Alpha Magnetic Spectrometer, mounted on the International Space Station, provides much better visuals!) but there was a mention of detectors deep underground, which satisfied me. The film focused on the astounding fact that we do not understand a whopping 95.1% of our universe, and I feel really lucky to be one of those people attempting to help reduce that by 26.8% by uncovering the nature of dark matter. To add to my busy schedule this week is an offsite shift for LUX. This involves keeping an eye on the detector and the data we are taking whilst those in the USA sleep to make sure all is well. We have a vast array of sensors monitoring our detector’s condition, meaning I can see with the click of a button if something has gone wrong. This job feels like rather a lot of responsibility; I’m hoping in my next post I can say it passed without incident!